If you weren’t able to make it to Intertech for our 25th anniversary, here are the talks from my fellow presenters. Senior Intertech Consultant Jim Karg delivers a presentation on The Internet of Things (IoT) for Business. Lonnie Weaver-Johnson, Agile Coach and Instructor, presents on Organizational Benefits from Agile and Scrum Adoption. Watch their presentations below. 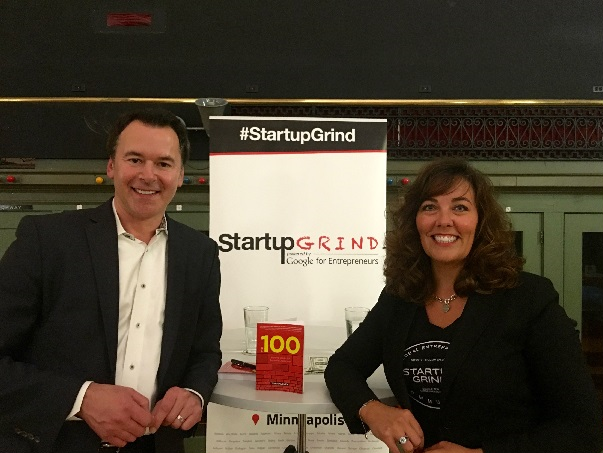 Thanks to Loring Kaveney and the team at Startup Grind Minneapolis for a great event last week. It was fun to talk about Intertech, The 100, and balancing work and home. Thanks to TECHdotMN a video of the event is online! For the 11th time, Intertech was named one of the best places to work in Minnesota by The Minneapolis/St. Paul Business Journal. My thanks to the Business Journal for supporting our local business community and to our solid customers and dedicated employees for making us possible. The Business Journal released names of the winners in a video. The rankings will be released at an event in August. In November, I delivered a talk at a conference in Florida. In it, I share how to create an ideal life using three approaches.